Has your home damaged by fire? 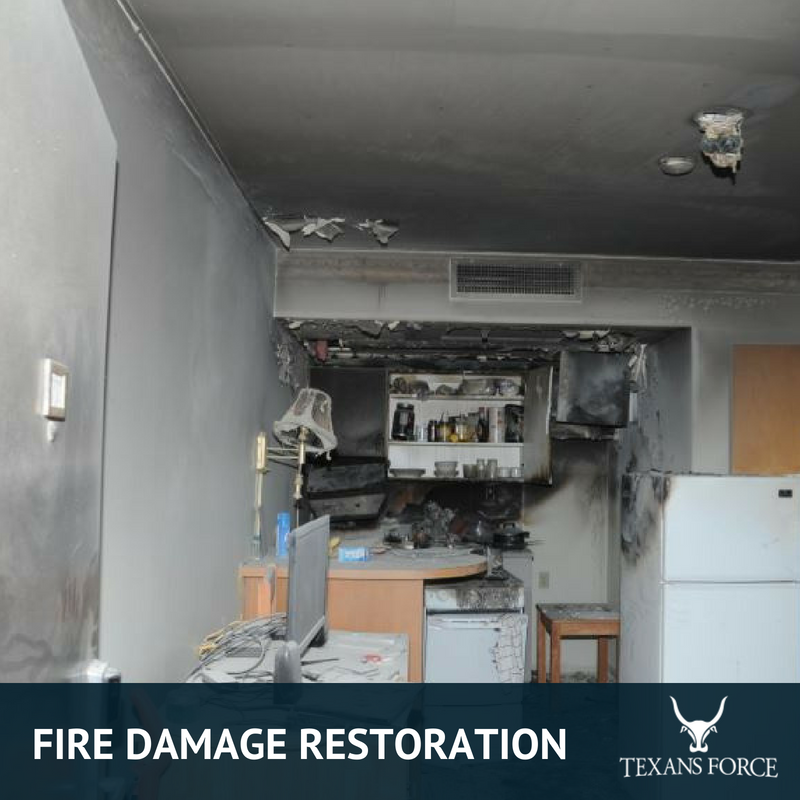 Texans Force specializes in fire damage restoration and can help you clean additional smoke damage. Fire damage can happen to almost anyone. Fires can start from a multitude of places such as an electrical malfunction, kitchen fire, or even extreme weather conditions such as lighting. Our team responds quickly and professionally to try and prevent further damage and assess what restoration may be needed. Our staff is ready to respond 24/7 for fire damage restoration. Call us at 1-832-270-1779 if you need emergency service immediately. Our team will work as quickly as possible to stop fire damage from spreading. Damage to your home from fire, such as weak structures and holes in your ceiling, can lead to further damage from rainfall and heavy winds. We identify what how much damage was done by the fire and explore possible remedies. We contain areas damaged by the fire and quickly repair them to prevent future damages. Leaky ceilings are a good example of this as they can be a source of additional water damage. Often most of the home fire damage is caused by smoke and will need to be cleaned. We have the best technology and knowledge to make smoke clean ups quick and affordable. We’ll assess the damage and make a recommendation if restoration is possible. In extreme cases it may be more affordable to replace items damaged beyond repair. 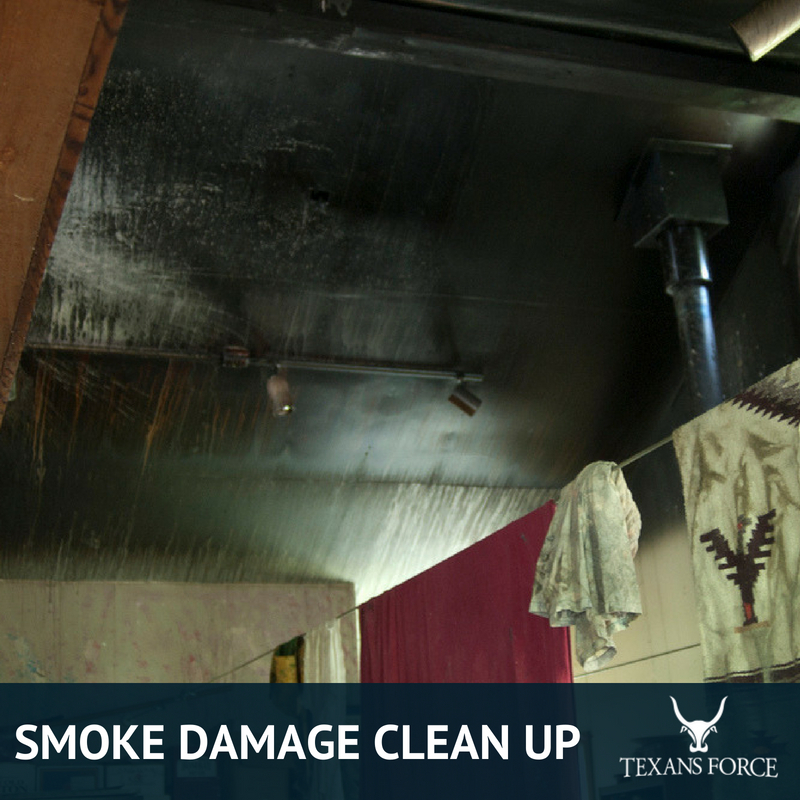 Smoke damage and soot can often be a big result of fires. It can leave unwanted odors and markings in your home. We’ll find anything that’s been charred or stained by smoke and work quickly to clean it. Our team is equipped with both technology and know-how to best remedy homes affected by smoke damage. Items that have been too badly damaged by smoke will ultimately have to be removed. 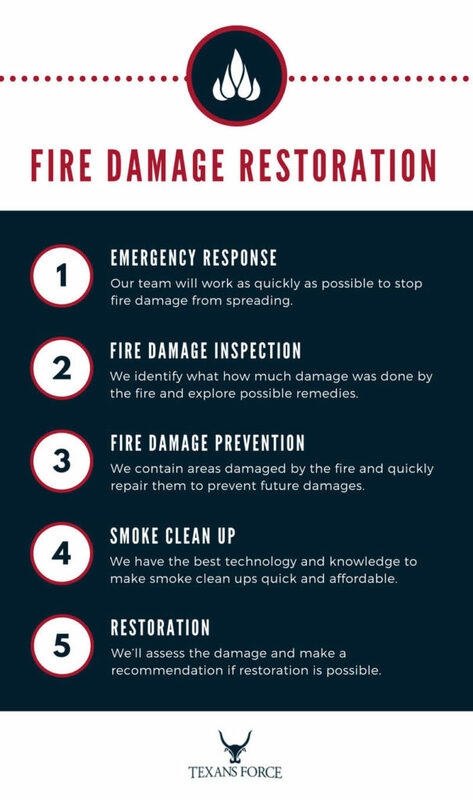 We’ll do our best to restore everything that is salvageable in after a fire. We believe that restoration is often the best choice since it is less costly than outright replacement of furniture and fixtures.